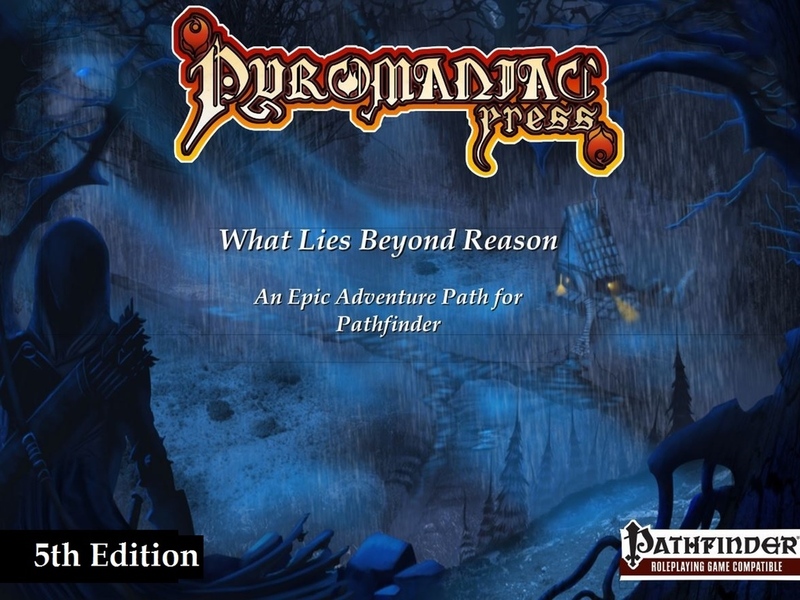 Check out the What Lies Beyond Reason Kickstarter from our friends over at Pyromaniac Press. Pyromaniac is a brand new 3rd Party Publisher for Pathfinder and this is their first foray into the 3PP waters, but it looks pretty awesome. Currently the project is about 75% of the way to their $2,000 AUD goal with 6 days to go. Also our friend Ismael Alverez a.ka. Lorathorn from the Elven Wizard King Blog will be converting the Pathfinder crunch into the 5E ruleset. The $3,000 AUD stretch goal is for R.I.G. to produce 5 new monsters for the AP. The $3,500 AUD stretch goal is for Richard Develyn of Four Dollar Dungeons to produce a side-trek quest for the AP. By all accounts and review all of Richard’s Four Dollar Dungeons are both awesome and a steal for the low price. So give the What Lies Beyond Reason Kickstarter a look and support it if you like what you see.